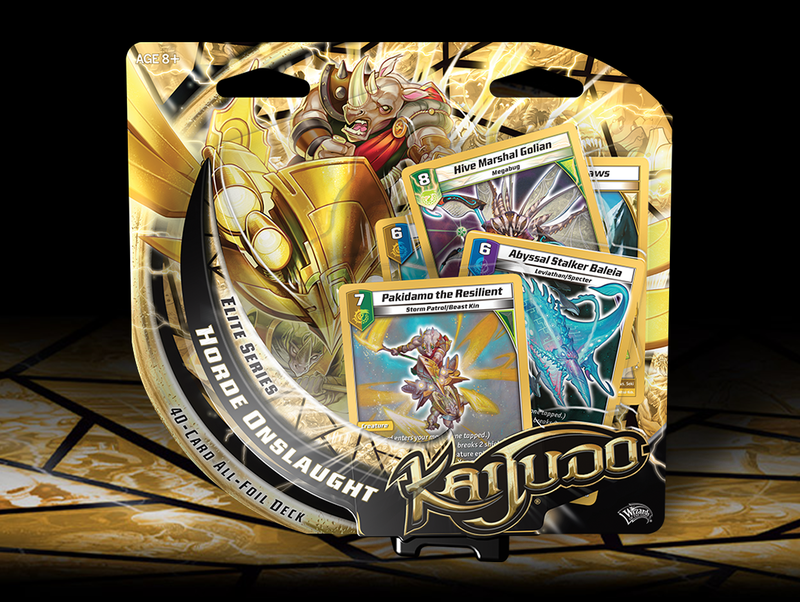 Kaijudo Elite Series: Horde of Onslaught, Out Today! Today, Wizards of the Coast announced the release of Kaijudo Elite Series: Horde of Onslaught. This Elite Series deck flashes its might in all gold foil! For the first time ever the cards in the set are printed with a premium treatment to include metallic gold borders. This event-ready 40-card deck features popular cards that are used frequently in the competitive scene. In addition, the set offers shiny versions of older cards and three brand new cards!